who doesn't love avocado? 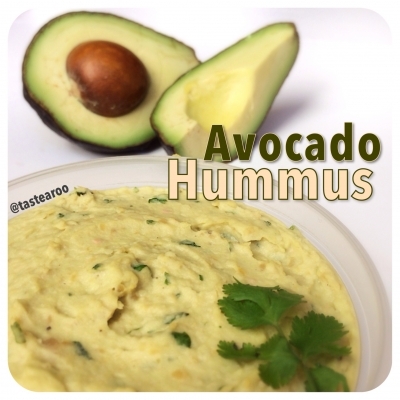 this hummus recipe is sure to itch your craving! Using a food processor, add chickpeas, tahini, olive oil, and water until all chickpeas are well blended. Then add the rest of ingredients and grind some more. Leave the cilantro for last, add and blend so it distributes evenly. Consume immediately!